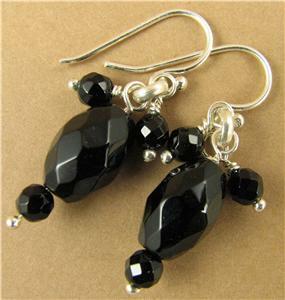 Home › Black onyx and silver cluster earrings. Dangle. Sterling silver. Handmade. 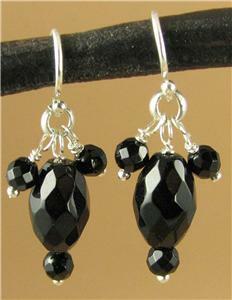 Black onyx and silver cluster earrings. Dangle. Sterling silver. Handmade. 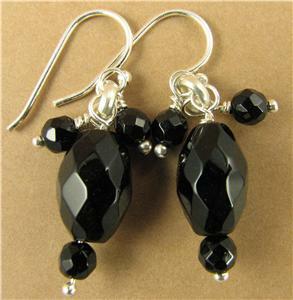 This is a striking pair of black onyx and silver dangle earrings. The large stones are black onyx, which has been faceted to catch the light. the smaller stones are black agate. The ear hooks and the silver wire inside are all solid sterling silver.